Put your Wire Grid to work now! 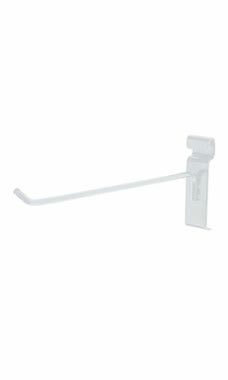 Our White 10" Peg Hooks for Wire Grids are a great way to easily hang merchandise. Your hanging products will rest effortlessly on these sleek racks! With ten inches of hook, you have plenty of room for hanging to maximize the space on your wall! This peg hook is featured in white but is also available in Chrome and Black, so as to match any display setting within your store. All products are in stock and available for shipping immediately. These high quality easy to install hooks are perfect to use with grid walls! Excellent quality products. Perfect for my needs.